The Samsung Galaxy Alpha — Samsung’s first phone with a build that prominently features aluminum — goes on sale Friday at AT&T for $199 on a two-year contract. For years, Samsung fans clamored for a metallic Galaxy phone, but when the Galaxy Alpha arrived, many were left cold. 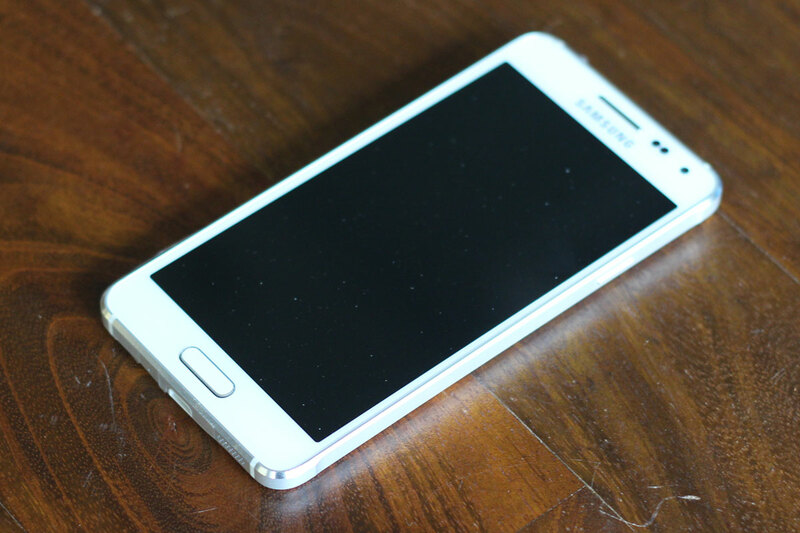 On paper, the Galaxy Alpha lacks many of the specs that made the Galaxy S5 worth its high price. 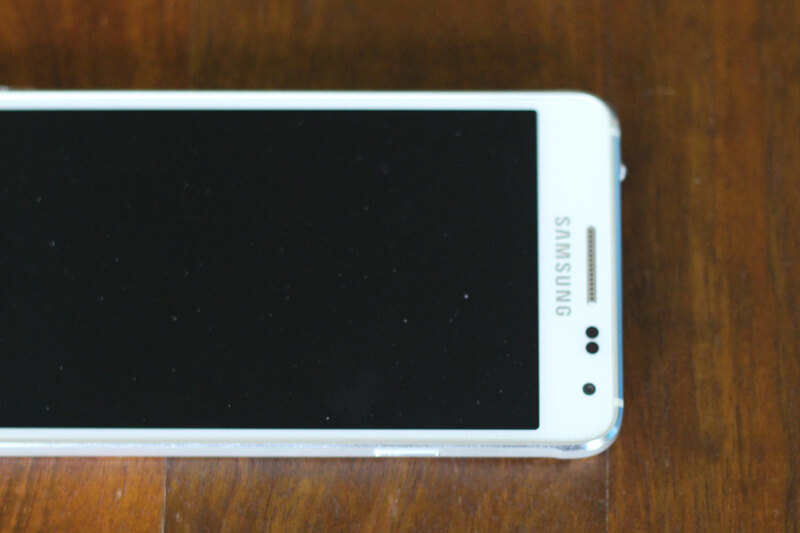 For instance, the Galaxy Alpha has a 4.7-inch screen running at only has a 720p resolution. Usually the best Android phones pack the most features and have the biggest and most pixel-dense screens. 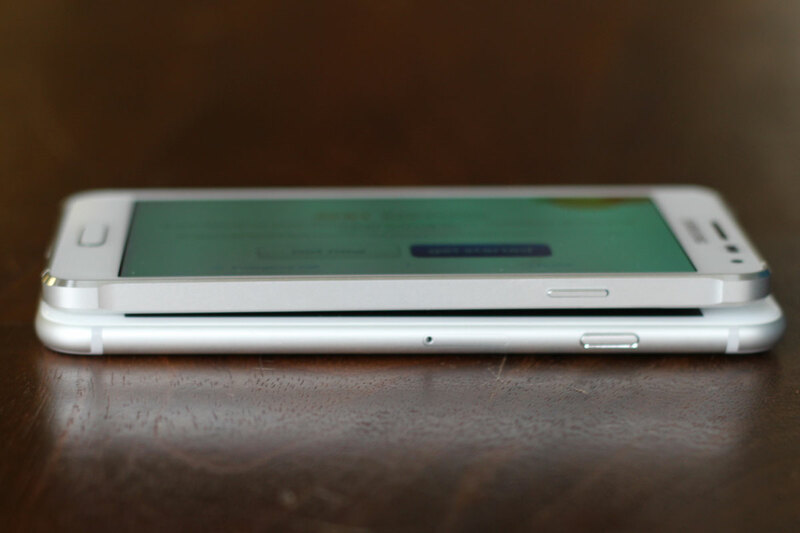 But the compromises Samsung made reveal a different phone than Samsung’s Galaxy S or Note lines: The Galaxy Alpha is thin, efficient, and most of all, desirable. I’ll have a more complete review next week, but for now I wanted to share some of my early thoughts. Let’s get this out of the way: the Galaxy Alpha is the closest thing you’ll find to an iPhone 6 that runs Android. Sure, the Galaxy Alpha goes for squared-off, chamfered edges just as Apple moved on to a bubblier, rounder form, but aside from that these two phones are very similar. They are very close to the same size and width, though the Samsung phone features slimmer bezels on the front of the screen. Like the iPhone 6, it feels very light — which some people certainly prefer to the brick-like devices from companies like HTC — but it doesn’t feel delicate at all. Most importantly, when holding this Android phone, you get a sense that it’s more than commodity hardware. It feels premium in a way that Samsung’s previous phones never have, and its designers got a lot of the little details right. If there’s one aspect of the spec sheet that gives me pause, it’s the tiny 1860MAh battery. It’s physically small. When you remove the back cover on the Galaxy Alpha, you’ll be surprised at how little volume the battery takes up — but since it’s replaceable, you could conceivably switch batteries when you get low. The screen is stellar. It uses Samsung’s vivid AMOLED display, and the 720p resolution is great for a device of this size — so I wouldn’t list its size or resolution as a con when comparing it to phones with 5-inch screens with 1080p resolutions or higher. The unit AT&T provided is equipped with a Qualcomm Snapdragon 801 processor and it flies. 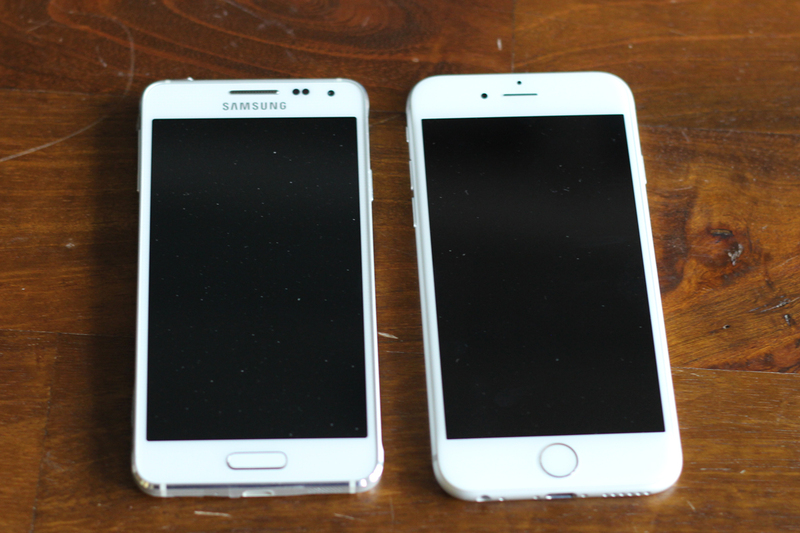 As for the size, the Samsung Galaxy Alpha is perfect for me. 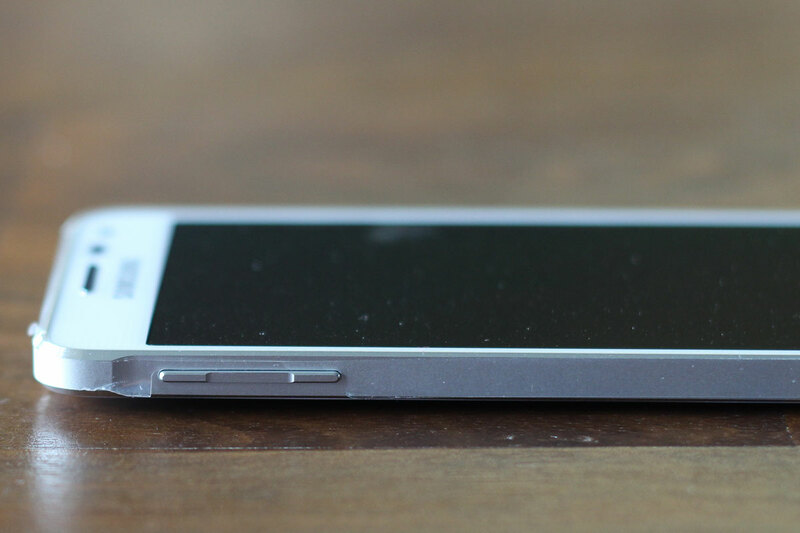 Apple made a big deal with the 4.7-inch iPhone 6 about how it mocked up hundreds of different phone sizes and picked the two best, and it looks as if Samsung’s engineers agree that 4.7 inches is the sweet spot. Even as big phones and phablets become more popular, I wouldn’t be surprised if we still see a large contingent of devices coming in at 4.7 inches. Right now, there are only three high-end devices available at this size: the iPhone 6, the Sony Experia Z3 Compact (which is currently not available in the United States) and the Galaxy Alpha. As of now, it looks like this phone is the best Android device under five inches by default. This is the fifth site i’ve seen making assumptions that galaxy owners want metal. In contrast, I have not heard one Galaxy owner mention that they have this wish. I have owned cellphones for over 27 years. Not once have I had a problem with plastic. If the editors have this wish, that is fine. But, to speak for millions of galaxy owners that love their handsets the way they are, is rather conjectured and overly opinionated. Wow, these are horrible, horrible pictures!